You know how some books are special just because of the time in your life when you first experienced them? I attribute some of my love of Twain to memorable moments reading about the mischievous, self-centered Tom and compassionate, philosophical Huck. Nothing says Americana to me quite like Mark Twain, and his writing captures a simplistic, beautiful, and heartbreaking time in our country’s cultural heritage. 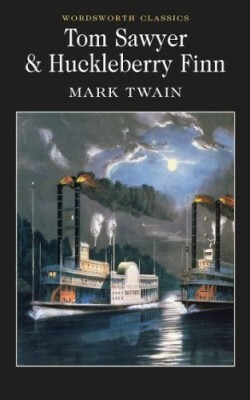 Due to various summer reading assignments (and my habit of running out of books during the vacation from school, thus rereading old favorites like Tom Sawyer), Twain and I spent many hot days and cool nights together during beautiful, green Kentucky summers, including the one before my senior year when several friends and I crammed in reading Huck Finn out on Lake Cumberland while swaying in the hammock and sunbathing on the boat. Reading about Huck’s river adventures while out on the beautiful, heavily treed lake really connected me to the narrative. As far as teaching these books (the point of this list), I’ve found Tom Sawyer to be a clear winner with younger students and Huck Finn to be challenging but ultimately rewarding with the upperclassmen. Bringing the narrative, time period, and setting alive as much as possible is the best way to win them over (and when all else fails, let the adorable Elijah Wood and Jonathan Taylor Thomas come to your aide)! I’ve been fortunate enough to teach mythology units four out of five of my years teaching (and even worked it in a bit during my year teaching strictly American lit – you may or may not be surprised how often American authors allude to Odysseus, Oedipus, Prometheus, Pandora, and the rest). Even though we did read The Odyssey, I found my own high school, top notch in most other areas, still a bit weak in teaching a broader range of mythology, so I had to do a lot of self-teaching in college as my English major pretty well required a strong base of knowledge. Even though I have now taught this unit so frequently, I am still astonished at how quickly and thoroughly students take to learning about the Greek gods, goddesses, heroes, and monsters. Kids who have not taken a bit of interest in class all year long suddenly sit a bit straighter, follow along in their book, and miraculously complete their writing and projects with previously untapped gusto. After all, how can you resist tales of finely crafted intrigue, supernatural creatures, dramatic heroics, and crazy scandals? These myths have endured for a reason. Students of all ages, backgrounds, and interests are captured by tales of multi-headed sea monsters, fathers that swallow and then vomit up their children, half-man/half-bull monsters, Cyclopses, dragons, ridiculous challenges, and the love story that inspired Beauty and the Beast . 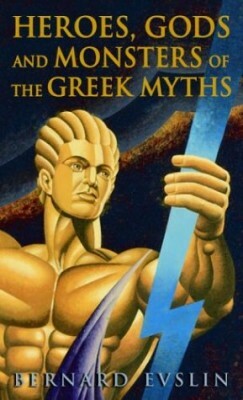 Edith Hamilton aside, my favorite retelling of the most famous myths is Bernard Evslin’s Heroes, Gods and Monsters. Add in some Hercules along with the reading of Evslin’s book and you have a killer mythology unit that students will likely never forget (and you will look forward to teaching each and every time). Thanks to a brilliant professor in college who was a Fitzgerald, Hemingway, and Faulkner expert (as well as a scholar of marvelous Southern writers like Flannery O’Connor), I had a fantastic experience reading all of these classic American authors. Professor Watson’s class on Fitzgerald deepened my already developed love and appreciation of The Great Gatsby, and I have a well-worn copy that has been with me through high school, college, and teaching – the text at this point is difficult to read underneath the pen marks, highlights, and notes, but it will always have a special place in my bookshelf. 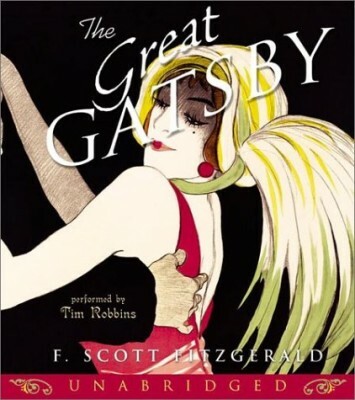 So surely it’s no surprise that teaching Gatsby was one of the most memorable and exciting points of my career. Yes, the characters are vivid (or purposefully not so) and the plot is engrossing, but for me, the most notable feature is the writing. Fitzgerald’s construction of the plot, his philosophizing and his dreaming illustrate writing at its most beautiful and intricate: writing truly at its highest art form. Passages will leave you stricken with their loveliness and inspiration, and even if students don’t tend to appreciate the art as much as this teacher, they will still be fully engaged in the story of Nick, Gatsby, and Daisy. As a side note, don’t even get me started on the current movie version available – Redford is a dreamy-enough Gatsby, but otherwise, ick. I am completely thrilled about this new movie version set to be released next year: consider it my Harry Potter, Twilight, or any other crazy book-to-film phenomenon! Harper Lee’s sublime narrative about life in 1930s Alabama simply has to fill my number one slot for absolute favorite books to teach. 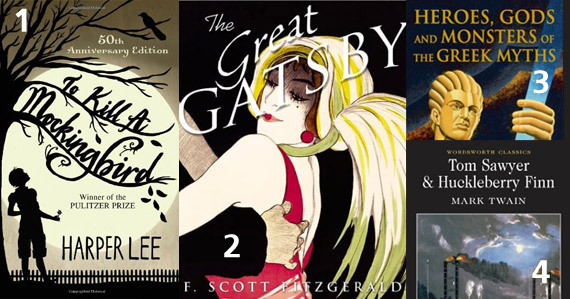 It proves difficult to even write about this one without going completely overboard on extolling the virtues of Lee’s work, but I want to avoid sappiness as I already hit my limit in the Gatsby section. Suffice it to say that each and every time I’ve taught Mockingbird, students always respond in extraordinary ways, and this novel tops every end-of-the-year survey I’ve given students to gauge their interest level in the curriculum – this is the one that is nearly universally unforgettable. 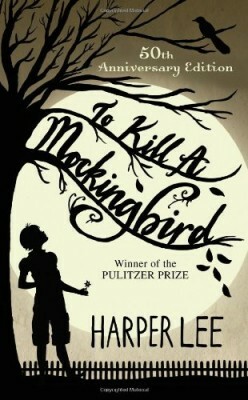 I would certainly say this is literature at its best: a beautifully crafted narrative, realistic and moving characters (Atticus, Scout, Tom, Boo, Mayella – these are names that stand for something meaningful to students), a fully realized and vivid setting, and a phenomenal societal morality tale without any preachiness or over the top sentimentality. Cannot imagine the canon of American literature without this addition. And besides, anytime a student gets too enthusiastic with projects or needs involving scissors, you can caution him not to “pull a Boo Radley” – that usually gets tons of laughs with the ninth graders. In conclusion, it was rough picking just ten books (even though I did cheat a bit with my numbers 3 and 4)! And this list seems to constantly rotate inside my head – even now I am wondering how in the world Julius Caesar topped Macbeth; I’ve already reconsidered that choice of mine. In any case, the classics have provided almost all of my top teaching moments, and my dream is to someday be able to integrate new classics into the curriculum rotation as well. So, what do you think? What are some hits and misses on my list? Whether to remember fondly, read, or to teach, what classics feature on YOUR list of favorites?